The Head of State took off time while in China to visit the country's economic city stating his readiness to reinforce relations with such big cities. The three-day State visit to China of President Paul Biya accompanied by his spouse, Chantal Biya could certainly not be complete without a courtesy but highly significant visit to Shanghai, China's main economic hub. His four and half hour stay in the city further revealed the ambitions of the Head of State to tap the exploits of this great city as he forges ahead with his development vision of making his country an emerging nation within the next fifteen years. It was the third time the President was visiting Shanghai and as the Lord Mayor of the city, Ying Yong, commented while welcoming him in his municipality, "in Chinese, when you visit for the third time, you become a good friend." President Biya's special interest in Shanghai is driven by the economic performance of the city. As the President himself said while responding to the welcome address of the Mayor, "the performances of your city make Shanghai China's pivotal city." On the basis of this, he expressed the readiness of Cameroon to reinforce relations between "big cities" like Shanghai and Cameroonian towns. He again reiterated the satisfaction of his country with cooperation existing between China and Cameroon. Located at the mouth of the historic River Yangtze in eastern China facing the Pacific Ocean, Shanghai with its 24 million people remains China's largest economic city. In 2016, its per capita GDP was equivalent to that of a medium developed country. Shanghai, according to its number one personality, is at the forefront of China's reform and opening-up policy as testified by the 2013 Shanghai Free Trade zone set up by the country's government. These are certainly some of the elements that have been pulling President Biya to this great city; the city whose export and import volume stands highest in the World today. The consistency and frequency with which the President has shown interest in this city, remain quite assuring pushing the Mayor to state inter alia his municipality's readiness to cooperate with councils in Cameroon on the basis as defined by the Presidents of the two countries. 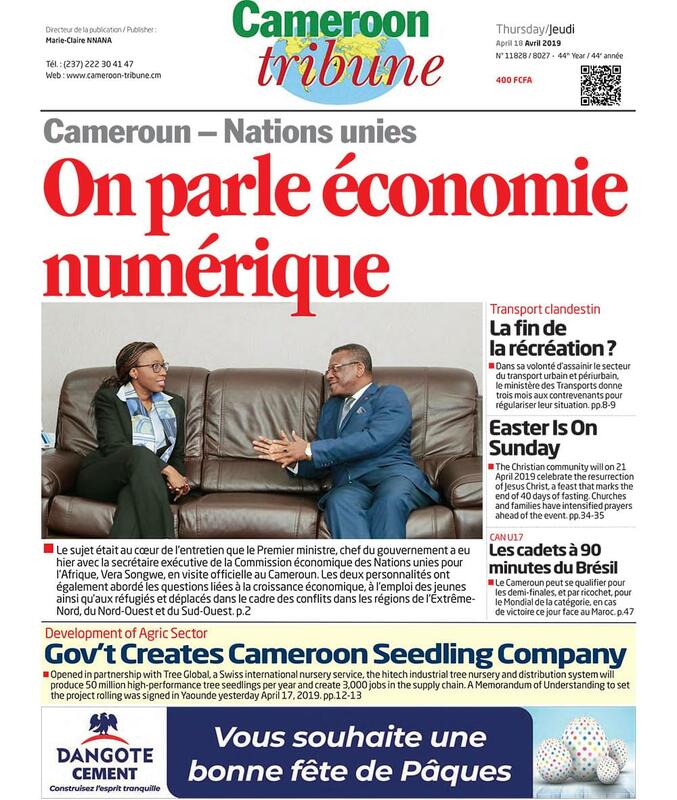 He openly expressed his determination to promote exchanges between companies, the media and other structures with Cameroon. President Biya left Shanghai last Saturday at 4:10 pm local time, with fulfilled impression of having visited a city that is economically growing at exponential rate and industrially expanding satisfactorily, it was partly because of his visit to one of the country's newest aircraft manufacturing industry; the Commercial Aircraft Corporation of China [COMAC]. Founded in 2008, COMAC has as mission to manufacture Chinese commercial planes. It is a core enterprise of the China Civil Aviation Industry managed by the Central government. The industry as of today manufactures three types of aircrafts: The ARJ 21 Regional Jet, the CR 929 Long Range Wide Body Civil Aircraft and the C919 Large Passenger Aircraft. The visit of the factory enabled the Head of State to have a bird's eye view of how the three planes are manufactured, their performances and the innovations therein as explained by the company's Board Chair, He Dongfeng.